Mark Hunt is set to headline UFC’s return to Japan this year in a blockbuster bout against Roy Nelson, so there is no doubt in anyone’s mind that Mark Hunt will make it there unless something terribly tragic happens. Earlier today Mark Hunt took to Twitter being all cryptic-like, claiming that he was “unemployed” and that he wasn’t happy about it. 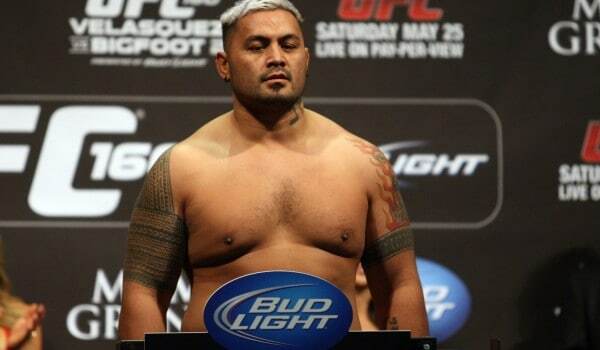 Remember, Mark Hunt fights Roy Nelson on September 20th. Dana White has refuted this via Twitter. @Chubfishswe @ufc that's the dumbest thing I have ever heard. Mark Hunt has been known to be a bit goofy on his social media, so we are all just assuming it’s some sort of prank in poor taste, but still, something to keep in mind.